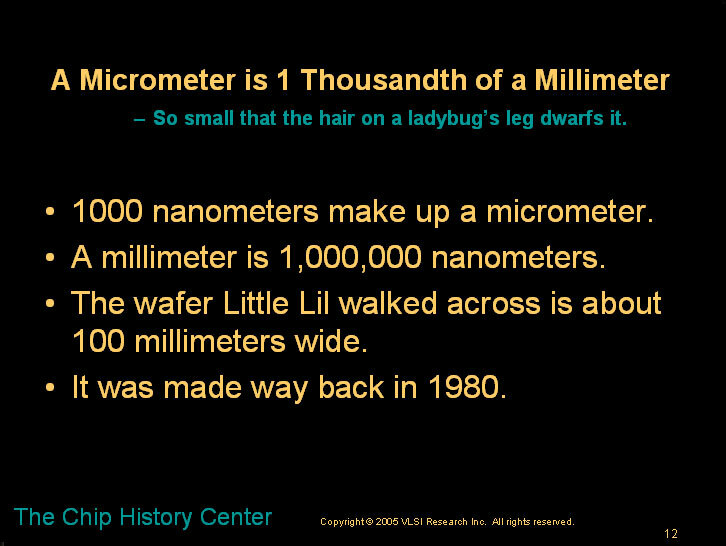 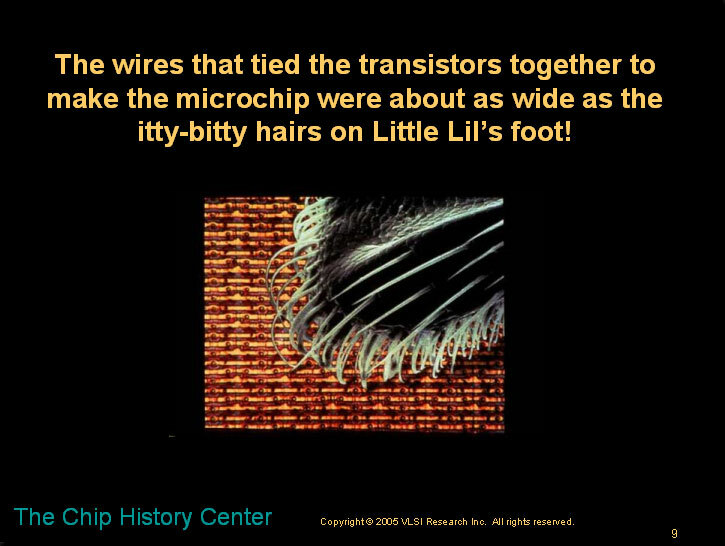 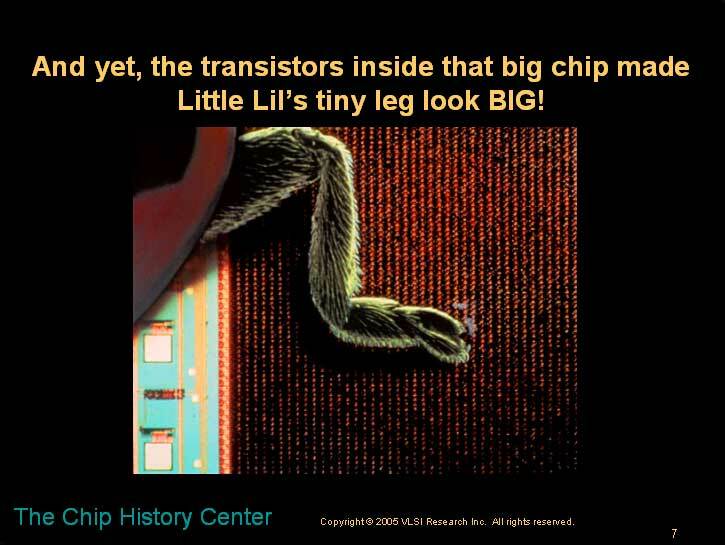 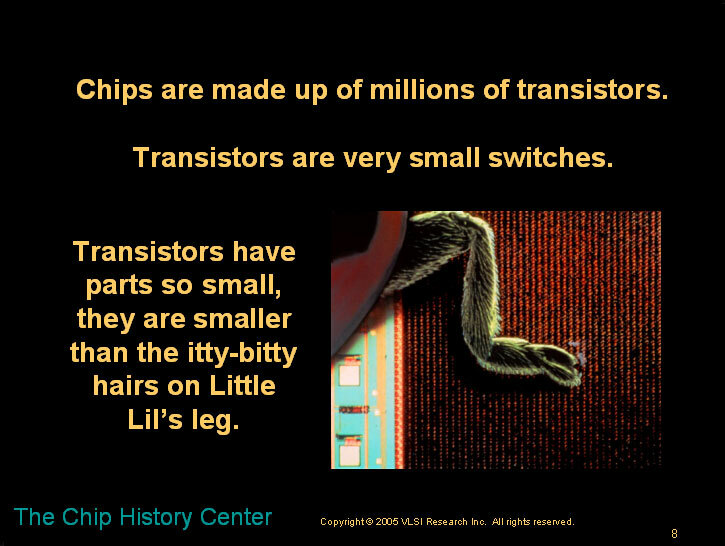 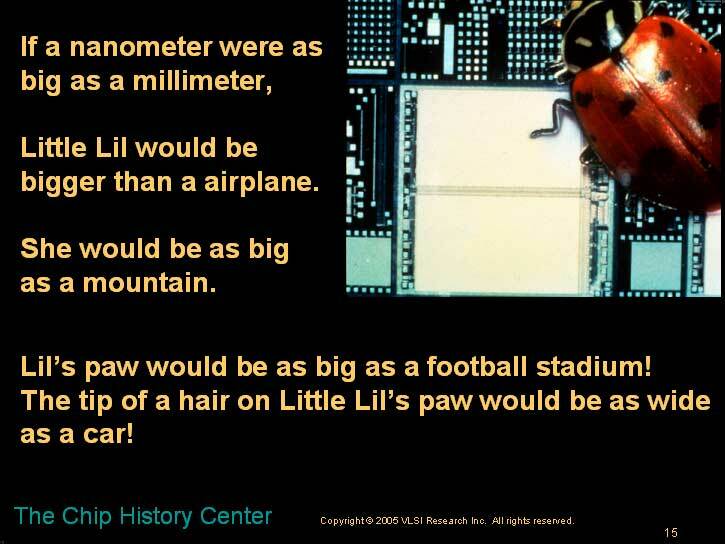 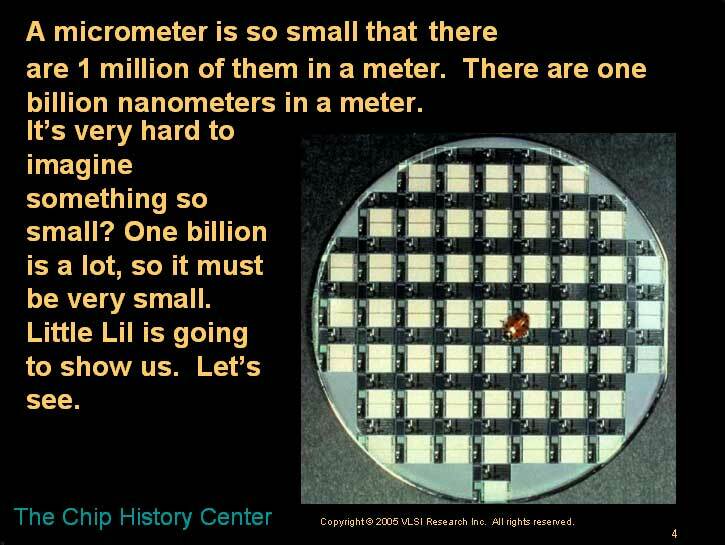 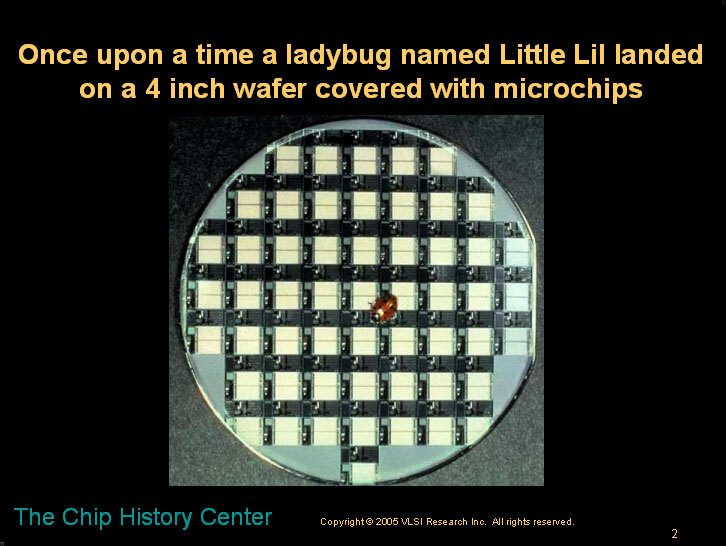 Summary : This is a children's story about Little Lil the ladybug and her journey across a silicon wafer and down into a semiconductor integrated circuit. 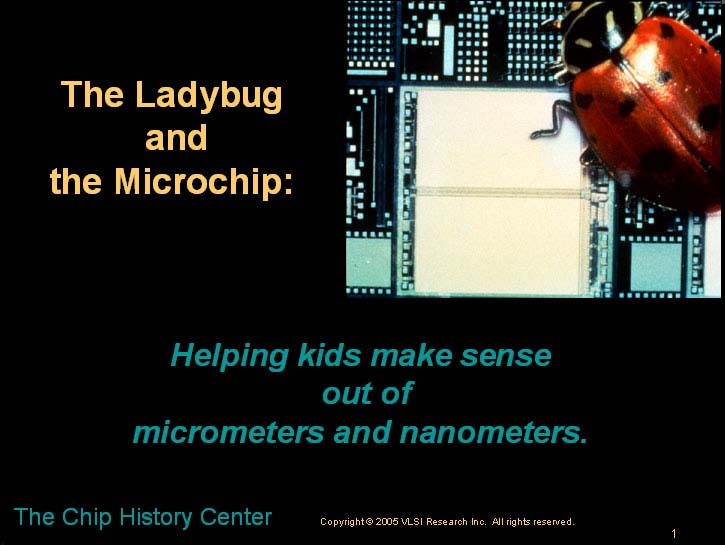 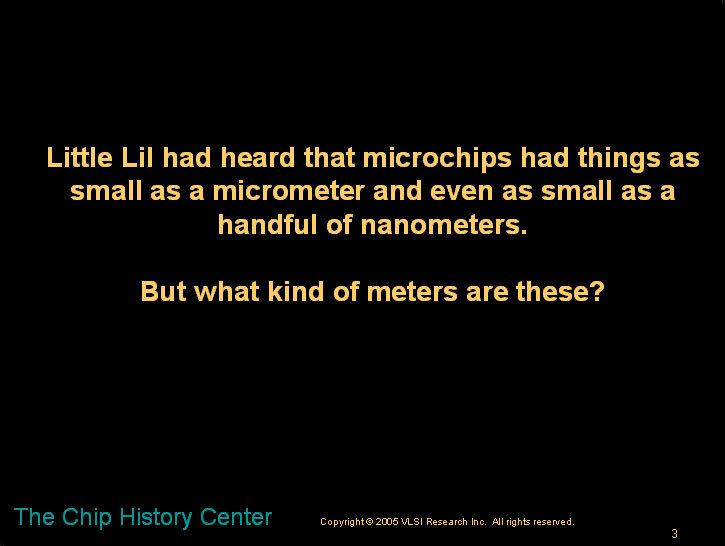 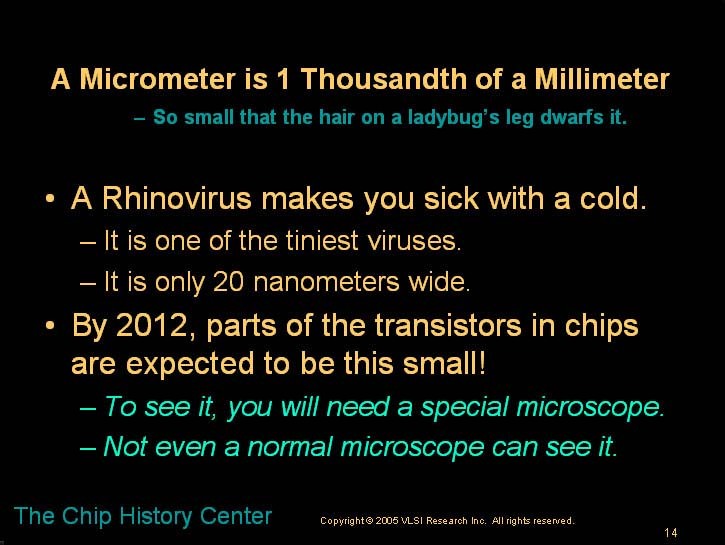 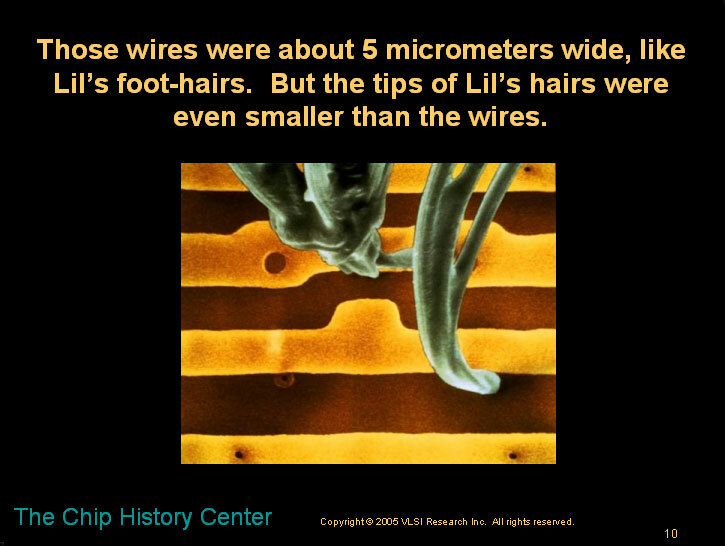 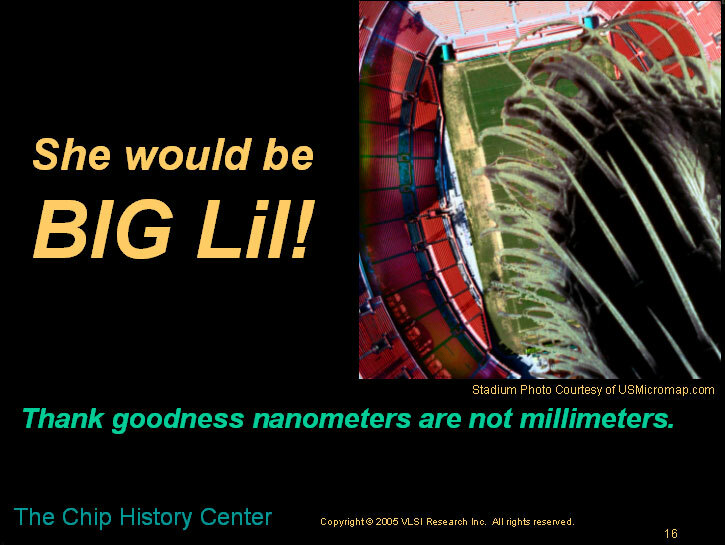 It created to help kids get a visual sense out of what micrometers and nanometers are compared to the things they encounter everyday. 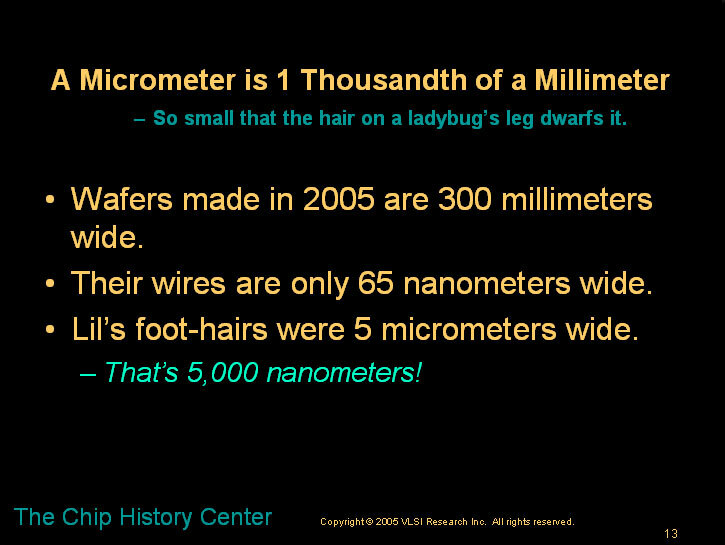 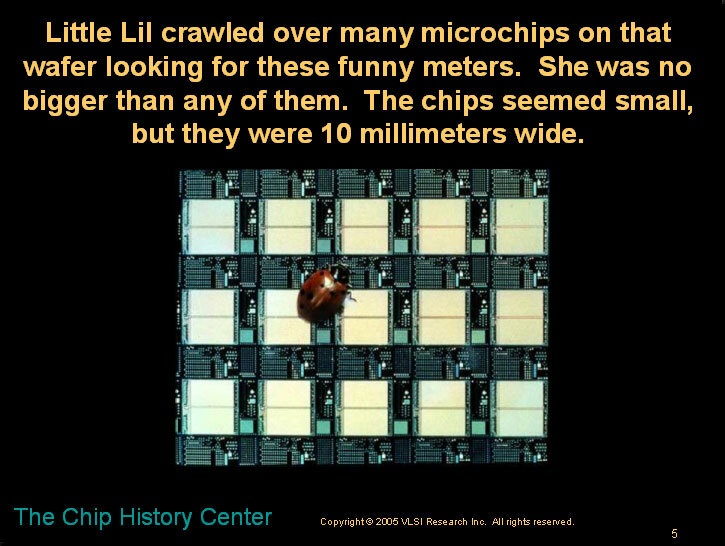 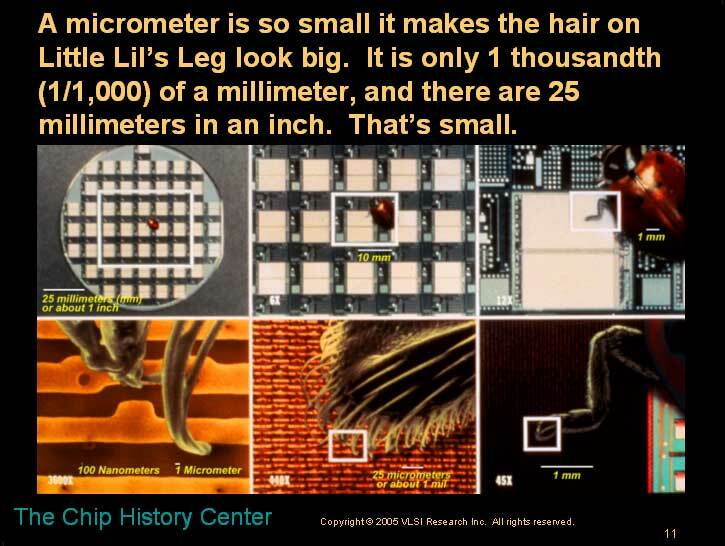 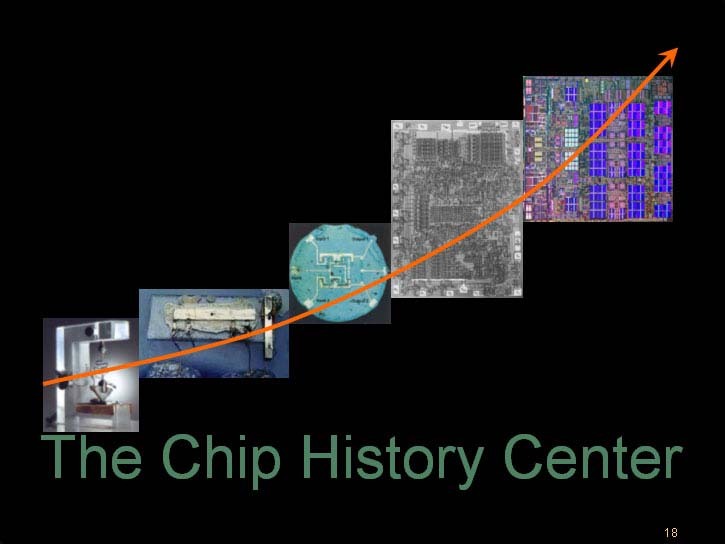 The story is a series of images that zooms down on a ladybug crawling on a silicon wafer. 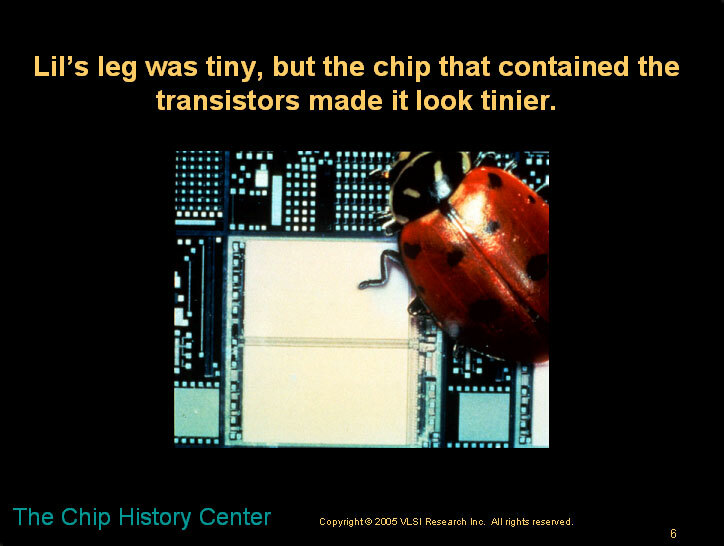 The images were donated by Jim Bowen and the story written by Jan and Dan Hutcheson.